Covert insertion, a HALO drop into enemy territory. There are some things the spooks can't handle, some problems that can only be resolved through superior firepower. Even though you're going up against unknowable horrors, you don't have the luxury of fear, because lives are on the line here. An emergency senior committee meeting in an anonymous briefing room in Whitehall. The shuffle of papers, low murmur of voices. The minister wants a proposal on his desk by 9. Army liaison confirms they have assets in place. Not that they know what's really at stake. They not cleared for what you know, but lives are on the line here. When the going gets tough, the Laundry calls in the professionals. This sourcebook gives rules and guidelines on incorporating special forces missions into your games of The Laundry Roleplaying Game. The spies have done their grubby work – now it's time for the SAS to drop in and put down the alien horrors with courage and high explosives. Visit alien dimensions and the most remote, unfriendly regions of our own world, meet interesting locals, and kill them before they kill you. The decisions that matter aren't made in the field – they're made in conference calls, in committee meetings. 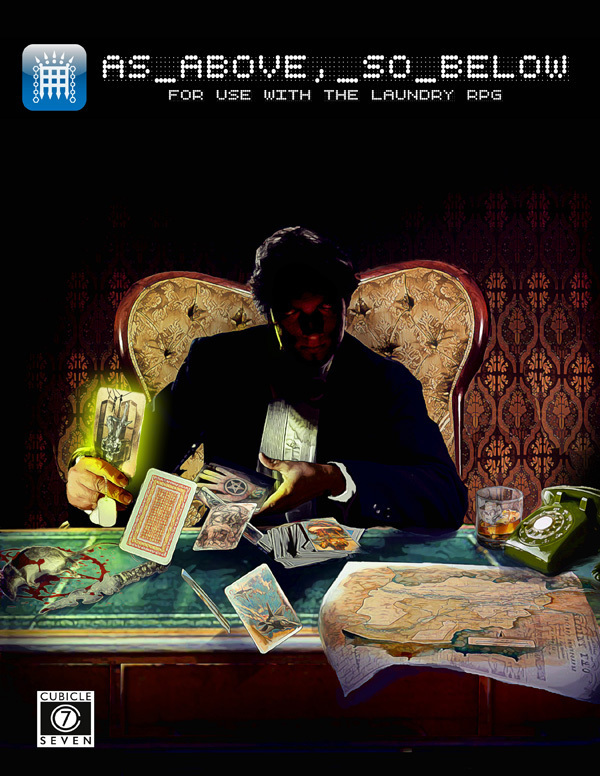 This sourcebook add a political dimension to your games of The Laundry Roleplaying Game, letting the players climb the ladder of promotion and take charge. Management isn't always a bad thing – it's power by another name, and bargains with ministers and Auditors work just like bindings with eldritch entities. Sorcery is the continuation of politics by other means. Two sourcebooks in one, exploring two very different facets of the Laundry. The military, and the political. The sharp end, and the hand that guides. •Background on Special Forces organisations. •Rules for creating Special Forces characters. •Advice for running Special Forces scenarios, including Occult Engagement Protocols. •Advice for running Political Games, including rules for pay grade, status, promotion, mentors and committee meetings. •A new mini-game for playing high-level meetings. •Three new scenarios, using the new play-styles introduced in the book. All orders come with a complementary PDF copy.